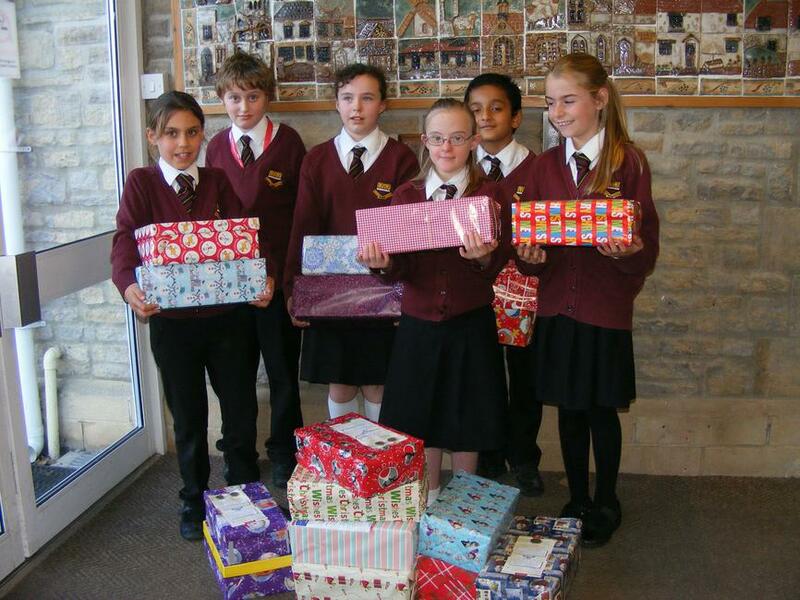 Pupils at Hugh Sexey have collected over 30 shoe boxes for the Link to Hope and Elderly Shoebox Appeal. Boxes were filled with items for all family members such as shower gel, shampoo, family games, stationary items, sweets, soft toys, hats and scarves. The boxes will be sent to Romania, Bulgaria, Moldova and Ukraine. They will be given to families who often have to make the choice between buying food or fuel at Christmas time – buying presents is just not a priority. Many families do not have running water, heating or electricity. Some live in appalling conditions and life for them is a real struggle to survive. Mrs Fuller, a parent, expressed her thanks that Hugh Sexey is playing a part in ensuring that these families know that they are not forgotten at Christmas time.